What Is DUI (DWI) Law? Roughly 1.5 million people are arrested for “driving under the influence “(DUI) every year. DUI law also includes and prohibits driving under the influence of any drug (legal or illegal). 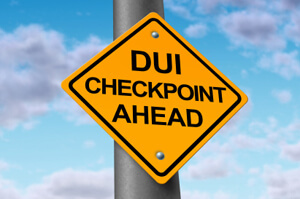 DUI and DWI,“driving while intoxicated” are often interchangeable terms. Still, some states do make a slight distinction where DWI means that the intoxicated person is intoxicated over the legal limit, and DUI means that the person driving is under the influence of drugs or alcohol, but not necessarily more than the legal limit. Despite the possible distinction about how much a person is inebriated, both DUI and DWI are terms to describe someone that is driving a motor vehicle after drinking or taking something that has impaired their ability to safely do so. Another term that is used less often is OUI, “operating under the influence”. For the sake of this article, we will use DUI to refer to all three. See the person driving a vehicle, and “vehicle” is defined differently in every states. Some states include bikes, hoverboards, lawn mowers, golf carts, and some states will even charge a person for DUI while on horseback. Qualify that the person was “under the influence” at the time that they were driving, and that it impaired the individual’s ability to drive safely. The impairment could be due to drinking alcohol, taking drugs, or both. DUI laws are serious crimes because they put the lives of others in danger. Sadly, innocent people have been severely injured or killed because of impaired driving. The Center for Disease Control and Prevention tells us that” nearly one-third (29%) of traffic-related deaths in the United States” is due to drivers that are under the influence. Because of the fact that DUIs can potentially endanger and destroy so many lives , the penalties for these crimes are heavy. Incarceration for a period of time is common in this scenario as well. In fact, state laws are trending towards stiffer punishments. These situations can be difficult for the accused to manage in such a way that will allow them to keep their license. A DUI can also make it difficult to find employment as well as cause higher insurance rates, serious financial setbacks, and embarrassment in the person’s personal life. It is for all of these reasons that is it is recommended to find a strong DUI lawyer to help you. Many states flatly prohibit anyone from driving, whether impaired or not, with a blood alcohol content (BAC) of 0.08%. A commercial driver is not permitted to have over 0.04% BAC. Find open containers in the vehicle. Have the driver take a breathalyzer test (for alcohol) and/or a mouth-swab test (for marijuana and other drugs). If the individual is guilty of driving with a BAC of 0.08% or if they show that they are impaired enough to be dangerous, then they can be arrested. The standards are different for drivers that are under 21. In many states, a BAC of 0.02 or lower is met with zero tolerance. Even a single drink before driving anywhere can have the potential to land someone with a DUI if they are stopped by the police. Many states will automatically suspend the individual’s drivers license and charge a large fine, and some states are even more severe. Police are able to stop a vehicle for reasonable suspicion, but they are unable to make an arrest without probable cause. Many individuals have been advised to reject taking an FST, because many states allow them to be voluntary. 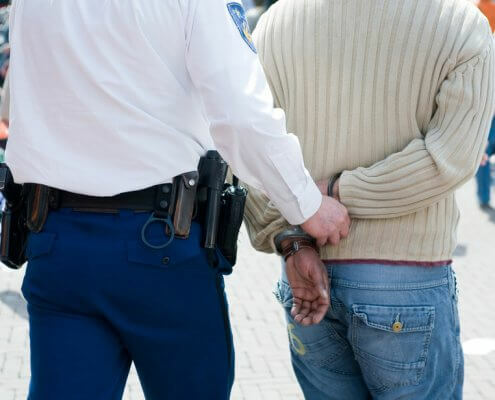 It is important to know that by rejecting the test, a person actually encourages the officer to establish the probable cause that will warrant a DUI arrest. In fact, you may be charged with refusing a chemical test, as well as a DUI. Every state has their own laws regarding the specifics about this. In STATE, rejecting the test is/is not legal. Also, keep in mind that in every state the officer can still arrest the driver, even if their BAC is under 0.08%. This is because if there is any alcohol in a person’s system, then all necessary elements are in place to create the probable cause that the driver is under the influence of alcohol. Once the officer is able to establish probable cause and the arrest is made, the chemical test of blood, urine, or breath to determine blood alcohol content will be required of the suspect. This test is NOT voluntary. Implied consent to take this test was given by every American that applied for and received a drivers license in any state. If someone refuses to take a chemical test, the penalties will include jail time, license suspension/revocation, and an ignition interlock installed on their their vehicle, all of these punishments are more severe than if they were convicted of DUI. Below, you can find information for DUI charges and punishment in your state. Your best bet when you are faced with this situation is to hire a DUI attorney to help lessen your fines or penalties, and you should act fast because many times licenses are automatically suspended if no action is taken after a set number of days. Every state considers DUI to be a crime, and some states have several different types of DUIs, but sometimes the offense can even rise to the level of a federal offense. If this happens, the driver can face harsh consequences so it is highly recommended that the accused driver seek a federal criminal defense attorney. What Causes a Felony DUI? the driver with a felony. In some states, a third or fourth DUI are automatic grounds for being charged with a Felony. The location of where the driving took place will determine the level of prosecution. If it was on land that is administered by the National Park Service, the charges will follow the Code of Federal Regulations. However, if the DUI occurred on other federal property, the charges will follow the laws of the state (or District) that it took place in. Members of Armed Services will be prosecuted in federal court and may face more consequences than a civilian, such as rank demotion or even dismissal from the military. 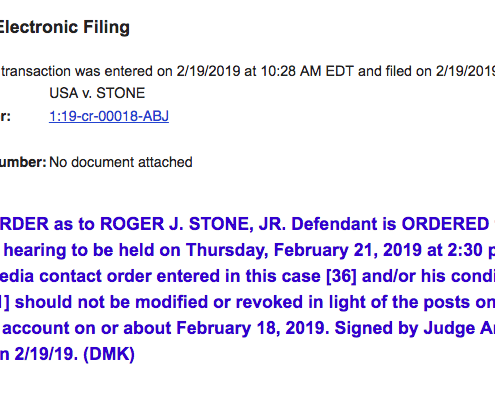 These charges will remain on record forever. Who Can Help After a DUI? If you or a person that you love has been accused of a DUI, contacting a lawyer experienced with handling DUIs can be crucial for lessening any negative consequences. DUI law can be a niche part of the law, and it is imperative to understand every facet of the charges including civil law which deals with restricting, suspending, or revoking an individual’s license. It’s time to take action now and ask a lawyer. https://cdn.askthelawyers.com/wp-content/uploads/2019/02/20134139/StoneForCauseOrder.png 396 706 AskTheLawyers™ https://cdn.askthelawyers.com/wp-content/uploads/2018/05/28085239/Asset-2-300x40.png AskTheLawyers™2019-02-20 13:50:482019-02-20 13:55:14What is a Show Cause Order?